At this week's meeting, we recognized two students of the year as our scholarship recipients. 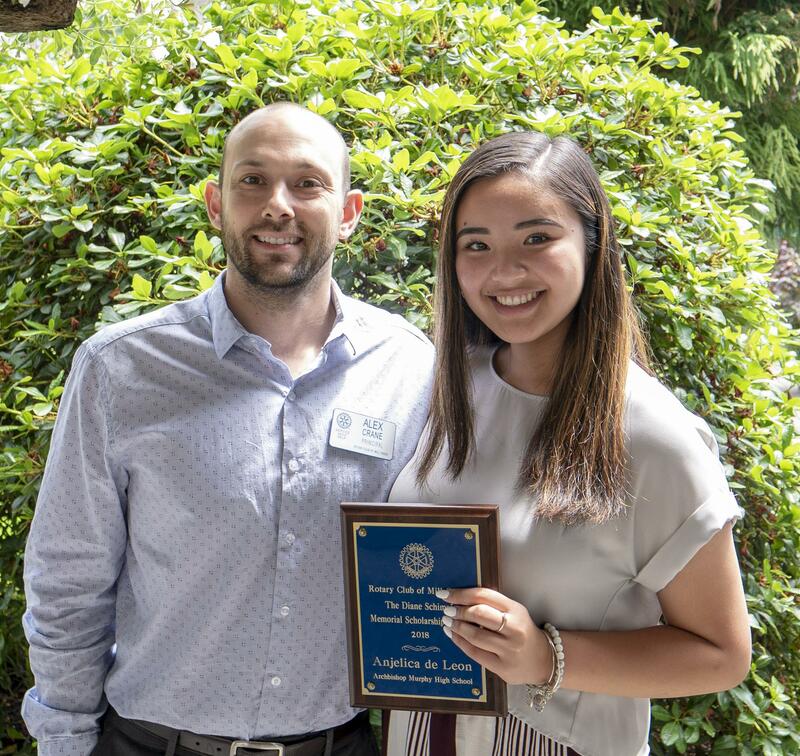 Anjelica de Leon is our Student of the year from Archbishop Murphy High School and Diane Schimpf Memorial Scholarship recipient. Anjelica is no stranger to our club. She was our March Student of the Month in recognition of her leadership skills. Anjelica will be going to school at California State University at East Bay, where she will study business administration with a focus on non-profit organizations. Anjelica is shown with Alex Crane, Rotarian and Archbishop Murphy Principal. Congratulations Anjelica! 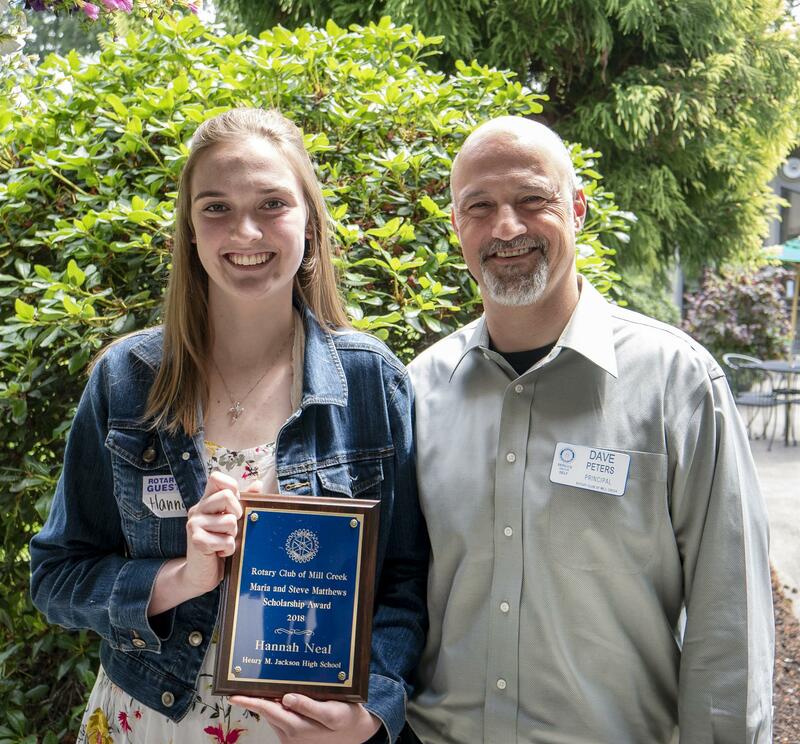 Our Student of the Year from Henry M. Jackson High School and our Maria and Steve Matthews Scholarship recipient is Hannah Neal. Hannah is no stranger to our club either. She was our December Student of the Month in recognition of her arts skills. Hannah will be going on to Gonzaga University in Spokane to study biology. Following that, she plans to go to medical school with an aspiration to work in the pediatrics area. Hannah is shown with Dave Peters, Rotarian and Jackson High Principal. Congratulations Hannah!